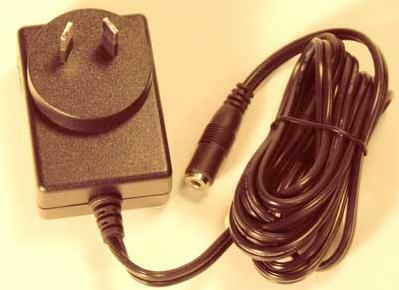 Australian/New Zealand Style Crafters Power Supply - Dino Rentos Studios, INC.
Plugs directly into Australian or New Zealand 220 Volt wall sockets. Will plug into and power any of our Craft Tools including the Crafters 4" Hot Knife, Sculpting Tool, Engraver, and regular Scroll Table. * Will not work with the Pro Knives, Freehand Router, 3D Table or Bow Cutter. If you are not sure if this will work in your country let us know where you are from (in the Notes section at the end of the Online Order Form) and we will make sure you get the correct power supply.